Vancouver, BC, Canada (November 8, 2017): Dine Out Vancouver Festival returns in 2018 with a mouth-watering lineup of special menus, culinary events and travel perks for its 16th year. Locals and visitors alike can look forward to a citywide celebration of feasting and fun at Canada’s largest food and drink festival, taking place January 19 to February 4, 2018. Once again, hundreds of participating restaurants will dish up prix fixe menus at $20, $30 and $40 price points, many with BC VQA wine pairings available for an added cost. Foodies from afar can take advantage of Dine Out Vancouver Festival’s special hotel rates, starting at $89/night at participating hotels; indulge in Dine & Stay packages that pair overnight accommodation with a Dine Out dinner; or splurge on Club Amuse-Bouche Collection hotel packages, for a one-of-a-kind luxury food experience. Book a flight with Air Canada to receive a 15 percent discount (available from anywhere in Canada and select U.S. cities; see the website for details). The 2018 event calendar will see returning favourites like the Secret Supper Soiree and Street Food City, as well as soon-to-be-announced brand-new events. Finally, prepare your palates for the Vancouver World Chef Exchange, presented by Aeroplan, the coalition loyalty program that brings its members closer to the people and places that matter most, which will bring international culinary stars to local kitchens. Full details coming soon. November 15, 2017 – Event tickets and hotel offers on sale at dineoutvancouver.com. January 8, 2018 – Aeroplan exclusive: The list of Dine Out restaurants and menus is made available to Aeroplan members, giving them a three-day jumpstart on securing a table through advance reservations. To get this perk, sign up for Aeroplan now. January 11, 2018 – Public reveal of Dine Out restaurants and menus at dineoutvancouver.com. January 19, 2018 – Dine Out Vancouver Festival begins – dig in! Mark your calendars now and check dineoutvancouver.com for more information. Produced by Tourism Vancouver, Dine Out Vancouver Festival is Canada’s largest annual celebration of food and drink. Attracting more than 100,000 locals and visitors, the festival takes over the city with 17 days of culinary events, prix fixe menus at 200-plus restaurants (at $20, $30 or $40 price points), as well as “Dine and Stay” packages and special hotel rates. The festival promotes local and regional ingredients, the wines of British Columbia, and the city’s exceptional culinary talent. Dine Out‘s premier partner is Aeroplan; festival partners are the Wines of British Columbia and YP Dine; and preferred partners include Air Canada, OpenTable, Metro newspaper, The Westin Bayshore, Tickets Tonight, Vancouver Magazine, Western Living, Where and The Georgia Straight. Dine Out VancouverFestival 2018 runs from January 19 to February 4. Dine Out Vancouver is well underway, as well as Vancouver Foodster’s Brunch Crawls for Dine Out. I recently attended the Yaletown brunch crawl and had a great time visiting restaurants and other shops that I have not had a chance to visit before. That is always the nice thing about the Brunch Crawls. Following are pictures and some comments from my Yaletown experience at the various venues. 8oz Rum latte with 2 shots of espresso (decaf/caffeine), 6oz of steamed milk (other milk alternatives – soy, almond, skim, whole) and rum flavouring (no alcohol). A great way to start the Brunch Crawl. The coffee really did have a nice rum flavour to it, without the punch. Steamed Glass Dumplings – Banana leaf wrapped tapioca dumplings, ground pork, cured shrimp, nouc cham, pork crackling and red chili. This restaurant was really interesting. I like Vietnamese food. I do not have congee too often as there are other dishes that I prefer. This one was quite flavourful with the boudin and XO sauce. My favourite item though was the Vietnamese Festival cake. I like sticky rice in general, and then adding the extra crunch from cucumber and spices from 5-spcie sausage and sriracha chutney made it a small flavour bomb. Probably my overall favourite stop at the Brunch Crawl. The pastries here are done so well. No item was overly sweet. My favourite of my favourites was the Goyave Citron Mandarine (the item looking like a cake). The guava flavour paired so nicely with the citrus and the mandarine oranges; and to top it off with fresh berries was a nice touch. I do not try smoothies that often that are made with greens, but gave it a try. My preference was the Peanut Butter Cup smoothie. The smoothie did have a strong peanut butter flavour and was very creamy. It did not have too green or bitter a flavour which can come from greens. I felt full and healthy after stopping here. I chose the Vanille Rouge tea to try, made with Roobios tea leaves and had a drop of honey stirred into it. Roobios is a red tea and is soothing to drink. Try it. These brunch crawls are very similar to Vancouver Foodster’s Tasting Plates events. You will get a card at the registration desk for one of the crawls, and then you visit each restaurant/cafe/coffee shop and get a sample of their food and/or beverages they are offering for the event. It is a great way to try different/new restaurants, plus walking between the restaurants, gives you some time to burn off what you ate. As an example of what to expect, I have listed the Kitsilano Brunch Crawl participating restaurants for you. Enjoy and see you at these events! Dine Out Van Fest does brunch! Presented by Vancouver Foodster, this expanded event from 2016 is sure to please anyone who loves brunch. Visit multiple restaurants throughout the Kitsilano neighbourhood as you taste all sorts of dishes in this brunch crawl. Using your “passport” as your guide, you can enjoy a variety of dishes including juices, smoothies, coffees, and chai to eggs benny, pancakes, french toast, omelettes, pulled pork, hash browns, bacon, meats, desserts and so much more. Silk Road imports & blends organic, premium loose teas, & produces organic skincare, haircare & bodycare products. Experience bliss at our award winning spa. At Be Fresh, we believe that food should be enjoyed and to fuel your body, which is why we only create meals with delicious and healthy ingredients. Homemade ice cream in Vancouver using local, natural and fresh ingredients! KAHVE offers a very unique space, offering exquisite coffee experiences in town. The space also offers understated but timeless modern designs from Europe. They use lots of local & organic produce, free range organic meats & Ocean Wise seafood. Creating handcrafted flatbread pizzas, daily pastas, seasonal soups, salads & desserts “to live for” from their open kitchens & artisan ovens. And for all those pizza lovers who are wheat intolerant or have nut allergies – they create extremely tasty gluten free and nut free pizzas! Their daily salads, soups & cheesecakes are also gluten free and nut free! Starting any morning off, you need coffee, which is what we received from Republica Coffee Roasters, who were serving small samples of their coffee, very strong coffee, inside of The Honey Shoppe. After coffee, we moved onto enjoying a warm chocolate almond crepe with raspberry honey butter. The crepe was really nice, and I enjoyed the rich chocolate filling and the fresh tart raspberries. Also we did try various flavours of honey. The one I really liked was the Blackberry honey. Really had a blackberry flavour to it, which comes from the blackberry flowers. Next stop was The August Market where we had a very tasty and healthy bowl containing Greek yogurt and mixed Fruit & Nut granola from Good Habit Foods. The tartness of the yogurt complemented the fruit and sweetness and crunch of the granola oats. The decadence after that came from The Lemon Square, lemon square. Tasty lemon, that is not too sour, and has the right amount of sweetness. Coffee would have worked well with this square. We also had a small sample of a chocolate almond milk at The August Market which was very tasty. Light chocolate and nuttiness flavours. Radicle Juice pumped us full of fresh fruit juices. One came from the “heat shot“, made from ginger (lots), apple, and lemon. It was really spicy, especially if you took the shot all at once, like I did. To cool down I had a Dragonfly smoothie, made from fresh orange juice, coconut milk, strawberry, pineapple, dragonfruit, and ginger (just a pinch). Also we enjoyed an acai mini berry bowl that came with chopped banana and coconut water and topped with granola ans seasonal berries. I would definitely come back for a berry bowl. Really full of flavour and texture. Radicle Juice makes all their smoothies and bowls when you order them, with fresh fruit. Nothing pre-made in purchased tetra packs that I could see. Our next stop was Nirvana. The one on Vancouver, Main St. Not the metaphysical one. An Indian restaurant that has been around for as long as I can remember. They provided us with a sampling of Malai kofta on basmati rice, Mozza naan, and Mango lassi. I enjoyed the kofta with rice. It was quite filling, and not very spicy. The mango lassi is a drink made from yogurt and mango. It was very thick and had nice mango flavour. If I were to have a wine with this, maybe a nice BC Gamay Noir. Last stop was Rosemary Rocksalt, for three kinds of bagels. I really like their bagels as they are dense yet soft to chew, plus they make the bagels right there. You can watch them putting the bagels into the oven and then removing them, admiring the toasty brownness of the crust and the smell of fresh bread. Rosemary Rocksalt offered to us a small chunk of bagel, with 3 different toppings: Montreal smoked meat, lox & cream cheese, and vegan cashew spread. The bagels used, in order to the toppings were sesame, poppyseed, and rosemary rocksalt. All three toppings went very well with the bagels. The Montreal smoked meat, and lox & cream cheese are obvious pairings that would work, but vegan cashew spread? Yes, it tasted and looked fairly similar to hummus. Thanks to Richard Wolak, aka Vancouver Foodster for working the Dine Out Vancouver Festival for putting on this event. Did you know that besides going to a participating restaurant for Dine Out Vancouver, there are also Brunch Crawls? On Sunday January 24 I attended a brunch crawl in North Vancouver. We had a total of 7 restaurants/venues to visit. Brunch being late morning, necessitates coffee. So my first stop was Bean Around the World, where I enjoyed a latte. Straight forward and full flavoured, in Lonsdale Quay. With some caffeine in my veins, the next stop was the joint Bowen Island Pizza Company with Cobbs Bread in Lonsdale Quay. We sampled both an apricot French toast with a strawberry reduction, and an Italian crostini with chorizo and roasted garlic. The French toast was full of flavour, as the bread used was made with raisins. The crostini bread was light and crispy, and the chorizo with roasted garlic had a citrus zing added to it from the capers. A great start to our crawl. Next stop was Two Daughters Bakery a few blocks away, where we were served an apple tart and a ginger lemon sandwich cookie. These treats are made in a gluten-free, vegan ingredients. Gluten does bother me, so these two treats were a treat for me. In particular I really liked the apple tart, made with freshly chopped apples. A short drive up Londsale Ave, we stopped at Cook Culture, Echo Cafe, and Rosemary Rocksalt. Cook Culture really made something unique and special for us; red lentil and wheat berry pancakes topped with haskap berries and maple syrup. Along with this they also made a smoothie for us with banana, roobios tea and much more (sorry I don’t remember the full list of ingredients). The smoothie was very filling, smooth and not sugary. Besides cooking classes, Cook Culture has a store full of kitchen pots, pans, and gadgets that you have to have. Echo Cafe offered us a Waffle BLT, a savoury scone baked with cheese and green onion, and a tart-sized quiche; Country style with ham, cheese, and peas. I really liked the quiche. Lots of flavour from the ham and cheese; texture and well, fresh peas from the peas. A very nice triumvirate. The waffle BLT was also nice, with the crispy waffle, crunchy bacon, and maple syrup. Last stop was Rosemary Rocksalt, where you can enjoy Montreal style bagels, which have been dipped in boiling water before being baked in a wood-fired oven (I assume they have a wood-fired oven). I really like their bagels as they are dense yet soft to chew. Some bagels you buy are very chewy and can give you a headache. They offered to us a small chunk of bagel, with 3 different toppings: Montreal smoked meat, lox & cream cheese, and vegan cashew spread. The bagels used, in order to the toppings were sesame, poppyseed, and rosemary rocksalt. All three toppings went very well with the bagels. The Montreal smoked meat, and lox & cream cheese are obvious pairings that would work, but vegan cashew spread? Yes, it tasted and looked fairly similar to hummus. Did this make you hungry? There is the Main Street Brunch Crawl on Sunday, Jan 31. Tickets are available. See you there. Art, Eat and Sip on Granville Island for Dine Out Vancouver has now passed. I attended, along with a guest. It was a wonderful night; missing the rain the day before, and what was yet to come. Granville Island is an easy walk from one end to the other. This evening we tried food to eat, wine/sake/spirits to sip, and art to devour with our eyes. At the end of the event, all your senses were satisfied. Below are a few pictures I took during the event along with a few of my comments. The Signature Chili Squid was a great way to start the event at Dockside Restaurant. The squid was nice and soft; not chewy. The spice was not too hot, so everyone could enjoy it. If you like spicy tacos, Off the Tracks Espresso Bar & Bistro has one made with slow cooked chorizo and yam. I like spicy food and this rated 6.5 on my scale. Other people marked it much higher. If spice is not your thing, how about nice? Their carrot cake with cream cheese icing was not too sweet, but full of flavour. Have you ever tried sake? Did you know we have a sake maker in Vancouver, that grows their own rice in the Fraser Valley that they use to make their sake? Artisan Sake Maker should be proud of what they do. Their Junmai Nama sake is very tasty. If you like a restrained Sauvignon Blanc, you will like their sake. There were more distilled spirits. Liberty Distillery were offering their Endeavour Gin, Railspur No. 1 White unaged whiskey, and their Basford cocktail sampler. The cocktail was very refreshing and I really enjoyed the aromatics of the Endeavour Gin. Moving on to wine Liberty Wine Merchants was offering a Cellier de Monterail GSM red blend from the south of France and a white Les Mougiuels Picpoul de Pinet. I in particular loved the ripe fruit flavours and soft tannins of the GSM. A change of pace gave us beer, another taco, and milk chocolate salted caramel. The beer, a Hey Day Hefeweizen and an Infamous IPA were from Granville Island Brewing, along with their Flank Steak taco. The milk chocolate salted caramel came from ChocolaTas. I am an IPA fan, and it really made a nice pairing with the milk chocolate salted caramel. Give it a try! On the art side, we have New Leaf Cerative Solutions, who were showing a printing technique (it looked like copper plate, using glass instead), Barbara Arnold, a painter who made some mixed media paintings that showed off Vancouver, Studio 13 Fine Art run by 3 artists that each has their own style to create paintings that grab your attention, and Dalbergia Wood + Fine Objects that creates wooden sculptures. I did not take any photos of these artists work, so you need to go to Granville Island to see them for yourself. Barbara Arnold did have The Lemon Square company at her studio offering us their bright citrusy squares to sample. Bon Macaron had a selection of Macarons inside of New Leaf Creative Solutions also for sampling. Both very tasty. As part of Dine Out Vancouver, there are also walk-about type events, such as Art, Eat and Sip on Granville Island. I participated in a similar event a few years ago on Granville Island and it was a lot of fun. It is an easy walk to all the participating venues. I really enjoyed the Artisan Sake, made here using rice grown in the Fraser Valley! There is also beer, distilled spirits, food and chocolates. Will I see you at the event? All the participating venues and artists are described below, along with a link to buy your tickets. I’m sure it will be a lot of fun. Get set for an extraordinary night of art, eating and drinking on Granville Island. Visit resident artists, local producers of beer and spirits, and taste dishes from several of the island restaurants at some of Granville Island’s finest restaurants, breweries and distilleries. Following your “passport” as your guide, you will enjoy dishes, bites, sips as well as have a chance to meet the artists, chefs, tour breweries, a distillery and discover more around the island. Visit each of the participating restaurants and establishments at your leisure by walking, bike or moped. Artisan SakeMaker is known as a unique commercial winery that produces award winning, hand-made, small batch and fresh sake. Our brand name “OSAKE” is widely recognized as “Canada’s first locally produced fresh premium sake” and its popularity has reached across the country and beyond. Handcrafted in our artisan studio located at Railspur Alley on Granville Island, Osake is the first “fresh premium”Junmai Sake [Namazake] of its kind produced in Canada. Fermented from top-quality Japanese sakamai, then hand-pressed and hand-bottled, Osake is left unfiltered to optimize its fresh, delicate, fruit-like aromas and flavours. Located on the shores of False Creek, Dockside Restaurant in the Granville Island Hotel offers a wide range of superbly prepared classic dishes in an award-winning setting like no other. Combining a menu which emphasises sustainable Ocean Wise seafood with panoramic views of downtown and Yaletown, Dockside Restaurant is an iconic West Coast destination 12 months of the year. Whether guests enjoy the views through floor-to-ceiling windows or on its patio, named “Best in Vancouver” five years in a row, a visit to Dockside Restaurant is always memorable. In 1984 something happened that forever changed the local beer industry: Granville Island Brewing opened the doors to Canada’s first microbrewery and our iconic Lager. It wasn’t long before we were adding more new and unique West Coast inspired beers to our lineup. Over the years, we’ve become more than just a local brewery. We also focus much of our efforts towards ongoing community investment, including sponsorship and charitable support of community organizations and more. We’re just as proud of that as we are about what we put in our bottles. Established in 2010, The Liberty Distillery is a true craft artisan distillery located in the heart of historic Granville Island. Selecting only the best British Columbia organic grains, The Liberty Distillery carefully ferments, then triple distills in traditional copper pot stills to produce hand crafted spirits with character and distinction. Traditional, classic, quirky, knowledgeable and fun; TLD’s enthusiastic team invite you to step back in time at their 110-year old Saloon Bar to taste Classic Old Fashioned cocktails, or to enjoy one of their Signature creations. Uniquely crafted drinks range from the familiar to the astounding, but always show the beauty of their artisanal spirits. Off the Tracks is a Granville Island original, providing the best of local talents, whether it is roasting beans to their absolute perfection, crafting a perfect cup of coffee, or creating the most mouth-watering House Salad on the entire island. We want to showcase the best of our local community and what it has to offer. After delighting customers in Victoria, Bon Macaron Patisserie decided to take a leap and tackle the Vancouver market with a brand new location in Kitsilano and one in Granville Island Public Market! With over 50 flavours ranging from the traditional to the most creative sweet & savoury, everyone will find something to their taste! All of our macarons are naturally gluten-free and we make a number of dairy-free options as well. New Leaf Editions Is a collaborative printmaking studio specializing in traditional and contemporary print media. New Leaf was established by Peter Braune in 1986 to work with artists seeking new forms of expression. The goal of a collaboration is to offer artists the ability to explore new forms of image making using print media. New Leaf has worked with many locally and internationally acclaimed artists. Services provided by New Leaf include: copper and zinc etching, photo-etching, relief printing, lithography, letterpress, and steel facing. We have also been working with architects and designers to etch images into all kinds of metal. These projects range from commercial to residential, all custom made pieces. New Leaf invites community participation into the world of printmaking by co-ordinating the BIG PRINT PROJECT (check out our last Big Print Project on youtube) and the Biennial International Mini Print Exhibition (BIMPE). For more information check us out at newleafeditions.com, or look up New Leaf Editions on facebook. 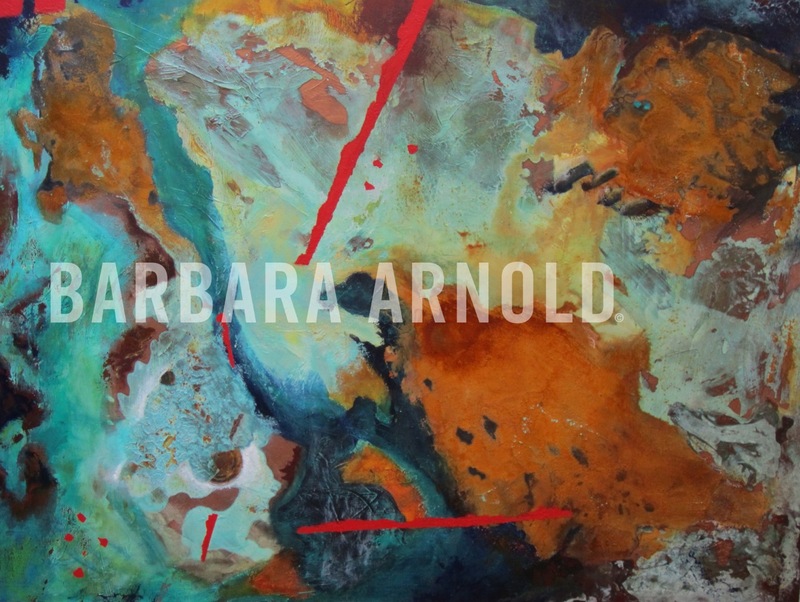 Dutch artist Barbara Arnold invites you to her working studio and gallery. Her abstract and representational mixed media paintings are an explosion of texture and intense colour generating an organic energy and tension that flow across her wood panels. She also offers private, semi private classes in her art studio and accepts commissions. Visit the studio on the second floor to see her work and have a chat with the artist. Find out more about Barbara Click here! Dalbergia represents the work of Federico Méndez-Castro. A confluence of craftsmanship with the graphic elements of pure forms. Fine furniture, sculpted objects and accessories in wood are created with one purpose: enhancing the poetry of space. Balance, simple lines and clear shapes find their ways in Federico’s work. The one of a kind is the standard for this Artisan. Purchase the Club Amuse-bouche tickets; in addition to the food and beverages tasting, and visiting the resident artists, you will also receive a Canvas, use of paint supplies and guidance from one of our resident artists as you paint your own masterpiece. Visit each of the participating restaurants at your leisure by bike, moped, car, or walking. Ticket price includes tasting plates and/or cups at each of the participating restaurants throughout the event. This event takes place during the Dine Out Festival 2016 presented by Tourism Vancouver. 3-Crawl Ticket Pack: Choose any 3 crawls for $115 provides the best value where you can choose any 3 of the 6 brunch crawls and save over $20 per ticket. For single tickets, Early Purchase Discount: Save $15 before December 31st, 2015. Regular price tickets are $60 after December 31, 2015. Dine Out™ Van Fest does brunch! Presented by Vancouver Foodster, these events are sure to please anyone who loves brunch. Visit 6+ restaurants in each of the neighbourhoods as you taste all sorts of dishes in this Brunch crawl using your “passport” as your guide. Gourmet thin crust pizza, amazing salads and full-service deli in Lonsdale Quay Market, North Vancouver. Bean Around the World at Lonsdale Quay is an independent Coffee House, locally owned and operated. We feature 34 coffees, including Fair Trade, Organic, single Estate as well as blended coffees. Drip coffee as well as specialty espresso beverages and fine teas are poured. Our offerings include a full range of fresh baked goods, a variety of gluten free baking, sandwiches, and wraps. Open 7 days a week. Rosemary Rocksalt is a purveyor of Montreal-style bagels and deli specialties. 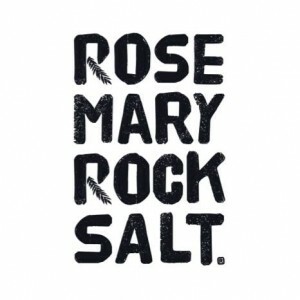 Born from Joel Siegel’s 22-year-old recipe at Siegel’s Bagels, Rosemary Rocksalt was co-founded in 2012 by Joel’s daughter Parise, along with Ken Sim and Teena Gupta. Having her own hand in the family business for 18 years, Parise is well-versed in the bagel recipes that have made tummies smile and hearts leap for over two decades. Combined with Ken and Teena’s decade of experience building Nurse Next Door into a world-class brand, Rosemary Rocksalt is poised to bring the magic of Montreal-style bagels across the continent! 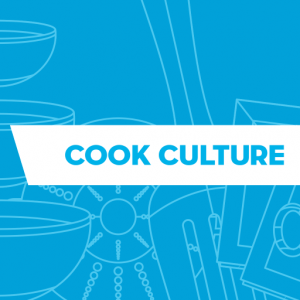 What is Cook Culture? What if we created a gorgeous cooking school kitchen and brought the best chefs we know to your neighbourhood? And then put it inside a store full of everything you could ever imagine wanting for your kitchen, with a staff who love food and cooking as much as you do? And what if we also did everything we could to support local, sustainable food – including teaching city kids to grow and cook their own veggies? That’s Cook Culture. And we can’t wait to meet you. A locally owned dedicated gluten-free bakery business run by Lisa Reichelt. Get set for an extraordinary night of art, eating and drinking on Granville Island. Visit resident artists, local producers of beer and spirits, and taste dishes from several of the island restaurants at some of Granville Island’s finest restaurants, breweries and distilleries, including Off the Tracks Espresso Bar & Bistro, Granville Island Brewing, Dockside Restaurant, Dockside Brewing, Liberty Distillery, Liberty Wine Merchants, Artisan SakeMaker, Bon Macaron, ChocolaTas and more. Dine Out™ Van Fest does brunch! Tourism Vancouver Dine Out Festival and Vancouver Foodster presents: Dine Out™ Van Fest does brunch! Presented by Vancouver Foodster, these events are sure to please anyone who loves brunch. Visit 6+ restaurants in each of the neighbourhoods as you taste all sorts of dishes in this Brunch crawl using your “passport” as your guide. 3-Crawl Ticket Pack: Choose any 3 crawls for $115 provides the best value where people can choose any 3 of the 6 brunch crawls and save over $20 per ticket. For single tickets, Early Purchase Discount: Save $15 before December 31st, 2015. Regular price tickets are $60 after December 31, 2015. Participants include some of Gastown’s finest restaurants, including Bao Down, Capilano Tea and Soda Co., Prado Café, Small Flower, Zero Zero Pizzeria and more. Participants include some of Olympic Village’s finest restaurants, including Bao Down Gastropub, Milano Coffee, Solly’s Bagelry, Whole Foods and more. Participants include some of Downtown Vancouver’s finest restaurants, including Marquis Wine Cellars, Meinhardt Fine Foods, Saj & Co., Truffles Fine Foods and more. Participants include some of North Vancouver’s finest restaurants,including Cook Culture, Rosemary Rocksalt, Two Daughters Bakery, Bowen Island Pizza Co, Bean around the World and more. Participants include some of Yaletown’s finest restaurants, including Bella Gelateria, Lime and Moon Pie Co., Small Victory Bakery + Coffee, Xoxolat, Zend Conscious Lounge and more. Participants include some of Main Street’s finest restaurants, including Radicle Juice, Rosemary Rocksalt, The Honey Shoppe and more. * All brunch crawls run 10am-2pm.